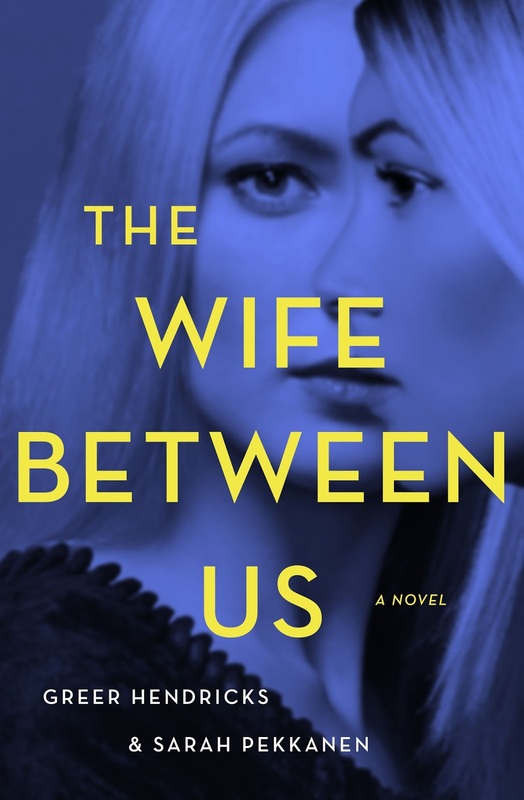 The day before their novel, The Wife Between Us, was released, the new writing team of Greer Hendricks and Sarah Pekkanen was nervous about their debut effort. A few days later, their book rocketed to the #2 spot on the New York Times Best Seller list and they were on their way to becoming 2018’s most famous duo of international bestselling authors. 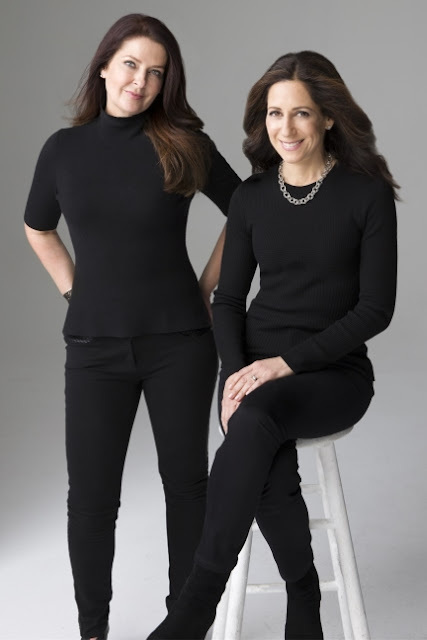 Hendricks, a long-time editor at Simon & Schuster, and Pekkanen, an international bestselling author in her own right, turned out to be “Better Together” as a team of storytellers. One from Manhattan (Hendricks) and one from outside of Washington, D.C., (Pekkanen), these two writers figured out how to collaborate across time, distance, storyline and families to produce a book that has been called, “A fiendishly smart cat-and-mouse thriller,” by the New York Times Book Review. Stay Thirsty Magazine was thrilled to visit with the team of Hendricks and Pekkanen in Manhattan to discuss their first joint venture. STAY THIRSTY: Your debut novel The Wife Between Us raced to the #2 spot on the New York Times Best Seller list almost immediately after its release. What is it about your book that propelled it to such a lofty perch so quickly? GREER HENDRICKS: Having worked as an editor for 20 years, I know from the trenches how difficult landing on the New York Times Best Seller list can be. My former boss, Judith Curr, the President and Publisher of Atria Books, always said the success of a debut begins with the book itself. The first person to fall in love with The Wife Between Us was our agent Victoria Sanders, and then our editor, Jennifer Enderlin at St. Martin’s Press. Jen was evangelical about the book, and shortly after we turned in the final manuscript, she seemed to have mobilized her entire team to read it. After our author photo shoot, which was ten months before our book was scheduled to be published, Sarah and I visited Jen’s office and she introduced us to many of her colleagues. Even back then it seemed as if the entire company had already read and fallen in love with the book! Of course, the most important element to the success of a book is the connection it forms with readers. St. Martin’s did an incredible job of getting the book to bloggers, booksellers, and reviewers. And these early readers seemed to really respond to the story Sarah and I wrote, and the unique way we wrote it. Even before publication, we had thousands of reviews on Goodreads and the book started showing up on thousands of readers’ Instagram feeds. All of this is to say, the book was set up for success. Still, debuting at #2 on the Times list was beyond our wildest dreams, and I have to believe there was a little bit of magic involved! STAY THIRSTY: After more than twenty years as an editor at Simon & Schuster, how did your experience on the publishing side inform your decisions in crafting your story? Of all the genres you have worked with over the years, why did you choose to write a psychological suspense story? GREER HENDRICKS: As an editor I worked on mostly women’s fiction – and that was also the genre Sarah wrote. However, prior to book publishing, I studied psychology and attended the Journalism School at Columbia. Before writing fiction, Sarah was a journalist and had also studied psychology. When it came time for us to think about our debut, we laid out all of our favorite books and realized there was a theme – the titles were psychological in nature and possessed strong female protagonists. Some of these titles included Before I Go to Sleep by SJ Watson, What Alice Forgot by Liane Moriarty, Rebecca, the classic, by Daphne du Maurier, and The Good Marriage – a short story by Stephen King. Our joking, working title was “Good Girl Gone Bad on a Train with a Dragon Tattoo.” We also thought about TV shows and movies that spoke to us. Our original concept was an intellectual one: how our memories are colored by the lenses through which we view our worlds – and how people can share an experience, but carry away markedly different perspectives and emotions. STAY THIRSTY: How important are surprises and twists in a novel to readers today? What role does discovering the reality of situations play in the construction and pacing of a thriller? GREER HENDRICKS: Sarah and I spend hours talking and plotting before we begin writing. We are constantly tossing out crazy ideas and pushing each other to make every scene and every character both unique and relatable. Our favorite saying is “WHAT IF….” Twists and turns and surprises are important, but we also want our books to be grounded in reality. It is important to us that our readers connect with our characters’ emotional truths. STAY THIRSTY: How did you and Greer arrive at a process to actually accomplish writing a book together? What rules did you set before you began your team effort? SARAH PEKKANEN: Greer and I had just one rule when we decided to write a book together: If either of us felt the process was not enjoyable and wanted to back out, we would be honest with the other and end the creative partnership. But from day one, we knew we were onto something special. We are so in tune when it comes to our approaches to writing, and we both find collaborating to be energizing. We always say that we are “Better Together” – I even recently bought us matching T-shirts with that logo. The real trick was to find a logistical way to collaborate, since we live in separate cities, but knew we wanted to create every line together. The first thing I did was book a trip to New York, and Greer and I sat hunched together over a single keyboard, writing what we thought would be the opening scene of our book (it ended up somewhere toward the end of Act One by the time we finished revising). STAY THIRSTY: Often co-authors will write alternating chapters or characters. Why did you choose another way to produce this novel? SARAH PEKKANEN: We never really considered doing anything else. When Greer was my editor, we’d go out for three or four hour dinners and talk about everything: books, relationships, our personal goals, and the challenges in our lives. We still chat this way nearly every day before we begin to write, often trying to find a way to channel our feelings or past experiences into our characters. Because our books constantly evolve as we work on them, often taking off in unexpected directions, we both need to be in on the ground floor of every line. STAY THIRSTY: You have referred to one technique for story organization as “homelanding.” What is unique about how you and Greer worked on this story? SARAH PEKKANEN: Every month, we meet in either New York (where Greer lives) or D.C. (my hometown) and sequester ourselves in a hotel room. We buy giant Post-It notes and chart out scenes, dialogue, and themes. I love to make the walls as messy as possible – like Carrie did on the TV show Homeland – whereas Greer prefers them to be neat. That’s one of the rare differences in our process. As for everything else, by this point, Greer and I joke that we have “one brain.” While writing together in our respective cities, we use Google Docs and Google Hangouts so that we can both see our manuscript and work together on it in real time. We’re on the phone talking while we are simultaneously typing, editing, and jotting down notes in the margins. We speak in an almost “twin language” when we write, kind of a shorthand, not finishing sentences. It’s a unique system, and Greer and I have deliberately avoided examining it too closely, because – and I hope this doesn’t sound too woo-woo – there’s something almost mystical about it. STAY THIRSTY: After writing seven novels on your own, how difficult or easy was it for you to collaborate on a story and still make it into a book that has been called “Masterful”? SARAH PEKKANEN: The biggest challenge for me was learning how to shift my approach to writing. While working on solo novels, I’m alone with my thoughts. The process is utterly internal. Instead of “thinking through my fingertips,” as I do when I write by myself, I needed to learn to articulate my thoughts. It was like adding a middle layer to my existing process. Greer is very analytical and I’m more instinctual – another of the few differences between us – so we work best together when we carefully plot out a scene, then begin to write it, and see where the characters take us. I think we both had to navigate a learning curve, but it wasn’t that steep in retrospect. Now it’s like second nature to us. STAY THIRSTY: Did you anticipate such success for your first joint effort? Will there be a sequel? SARAH PEKKANEN: I never anticipated it. Truthfully, I fantasized about it, but I know how difficult it is for a book to break out of the crowded pack vying for readers’ attention. Our publisher did an unbelievable job of getting the word out on this novel. Greer and I knew that the book had a real chance of succeeding due to the efforts of the passionate and hard-working team at St. Martin’s Press. About a half-hour before the New York Times list was scheduled to be announced, Greer and I got on the phone and each poured a glass of wine. We toasted our book, then made a vow: If The Wife Between Us didn’t take off the way everyone hoped, we’d keep trying. We’d write another. We’d stick together. We’d continue on as a team. And not just because we wanted success, but because we have found such a rare, supportive, inspiring collaboration, and we know we truly are better together. GREER HENDRICKS: I echo everything Sarah says! Certainly, as the momentum for our book seemed to be building, we hoped it would land on the list. But we never expected it to hit so high. When our publisher called to tell us the news, I literally wrote down the number 2 on a piece of paper. As if I would forget it! It just didn’t seem real. As for a sequel, that’s not in the works. But we are nearly done with another psychological thriller, tentatively titled “You’re Invited”, which also features strong female protagonists and kaleidoscope twists and turns.